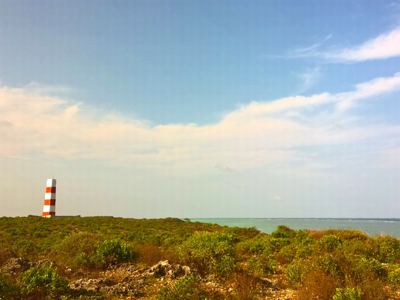 For years we wanted to discover the area around the light house in Makunduchi- at the very Southern tip of Zanzibar. We thought it would be deserted – but found lots. For some reason I imagined it deserted and unreachable. But it was quite the opposite. 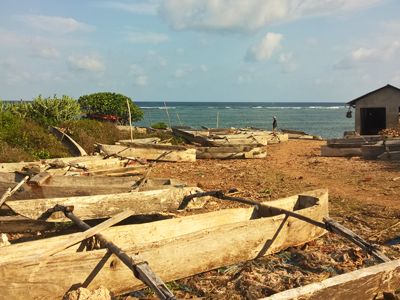 The area is not only much used by the villagers- it also has a baobab forest, a huge football field, a boat carpentry, a harbor for trimarans and a small house for fish auction. On top of that- two small houses for spiritual activities and an ever present horizon. 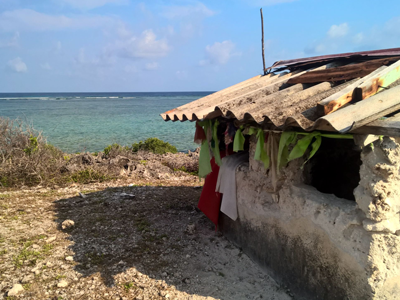 When reaching the sea via the small paths in the bush, all I wanted was to jump in. But being full of sharp rocks and 4 m up- it is not possible without a ladder. But now I am thinking to bring my guests here for a half day with sunset and barbecue- and bring a ladder of some kind. Would you like that? The water is crystal clear and the area untouched so it would be great to be able to spend some time in this soothing atmosphere. And finish it of with a BBQ in the bare nature.